It’s always been our policy to give back to the community and Parkinson UK is very close to our hearts. 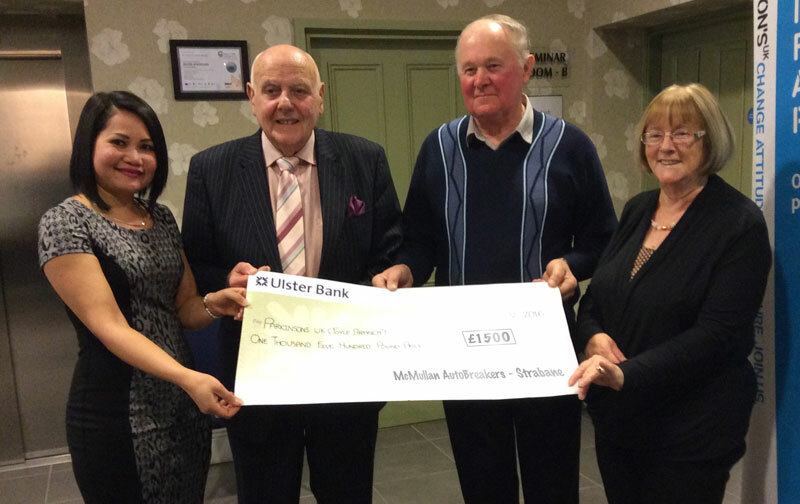 McMullan Autobreakers presenting of £1500 to a very worthwhile charity indeed. One person in every 500 has Parkinson’s. That’s about 127,000 people in the UK and Northern Ireland. Symptoms and how quickly they progress are different for everyone. There’s currently no cure, but drugs and treatments are available to manage many of the symptoms.